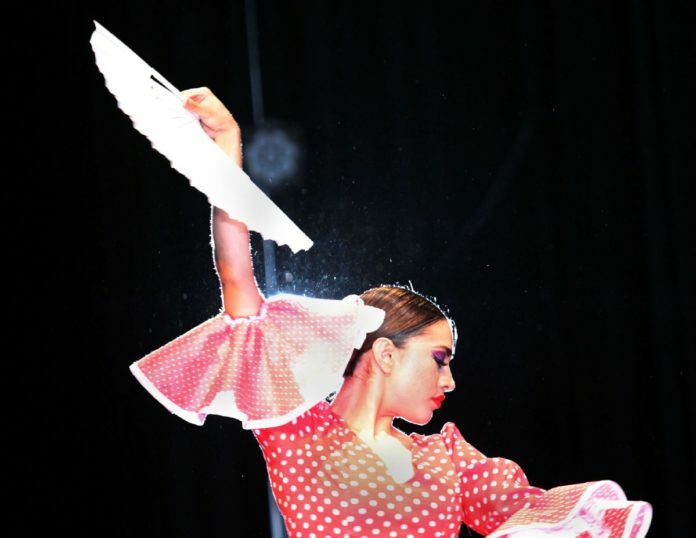 Throughout nearly 50 years, University of Texas Rio Grande Valley’s Ballet Folklórico has built one of the best dance programs in the nation. University of Texas Rio Grande Valley’s Ballet Folklórico artistic director Miguel Angel Peña Caballero grips his digital tablet barking bilingual notes and stomping steps — observations from a previous run through Wednesday night at the UTRGV Performing Arts Center in Edinburg. Dancers lounged and listened on stage, legs folded in an assortment of shapes. “If you’re going to be here, be mentally and physically here,” he reminded them. He shifts performers into position, finalizing blocking with public performances only days away. Stage crew sweep the performance area as set pieces — cantina facades — rise out of sight. Piñatas descend replacing them. Couples spin, talking out their steps before the next rehearsal begins. Production director Zeidy Garza sits in the colorful seats of the auditorium. Dancing with the group for eight years, she spoke of the time and dedication required of performers. The company has been acknowledged by the American College Dance Association 2012, 2014 and 2016, earning a place in the national showcase in Washington, D.C.
“I always tell the dancers when we perform, ‘we’re dedicating this to all the small programs in the nation that never have the opportunity to make it to nationals,’” said Program Director Francisco Muñoz. When: 7:30 p.m. Feb. 2, 3, 16, 17, and 2 p.m Feb. 4, 11, 18. Cost: For advance ticket information, visit utrgv.link/alegria or contact the Dance Program office at (956) 665-2230.